Easter is just around the corner. However you celebrate it, we at The Powell Group are sure that you will have family and friends over for some continued celebration. HGTV has great ideas on how to create some food and other assorted snacks for when they come over. 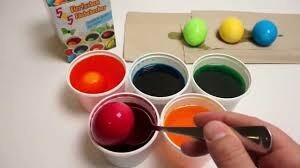 Everyone loves dying eggs for the holiday. Why not add marshmallows to the mix? The Powell Group is here to help you make this Easter a festive one. Our team members are also here to answer any of your questions or concerns.